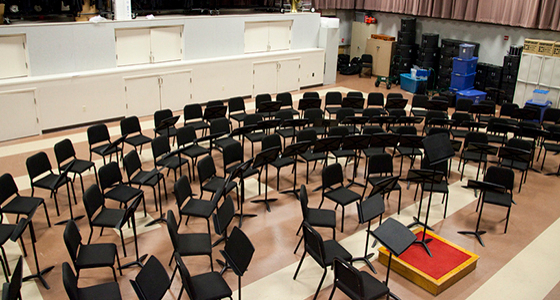 Why aren’t your students paying attention in rehearsal? Perhaps they don’t find the subject interesting or they are texting behind the music stand; sometimes the reason is much more personal. Malnutrition, neglect, and physical abuse are all conditions which negatively affect a child’s ability to focus and learn. Because music educators spend so much time with students, sometimes more than their own families, it is imperative that educators are aware of the warning signs for these dangers and that the proper steps are taken if abuse is suspected. According to a 2015 study by the World Hunger Education Service, nearly 12.7% or 15.8 million households in the U.S. were deemed “food insecure.” According to Lecia Bushak from Medical Daily, the human body can actually survive up to seventy days without food, assuming that the individual is properly hydrated. This is dangerous, however, since the body must begin breaking down proteins from muscles for energy. This can cause the immune system to be drastically weakened and exposes the individual to a plethora of diseases. Without proper nutrients, several aspects of bodily function including memory, sleep patterns, and motor skills will also be negatively impacted. One recalls Maslow’s “hierarchy of needs” which explains that unless a person’s basic needs, like food or water, are met, more complex issues cannot be a priority; students who are suffering from malnutrition will have difficulty paying attention to music lessons/lectures. Directors who instruct marching band ensembles outside in the summer time must be especially vigilant when it comes to student health. Individuals who are underfed or are not properly hydrated can become temperamental or confused and are in enormous danger of passing out during rehearsal. All marching band directors should have a basic understanding of emergency protocol before taking a group outdoors. Find health information and training opportunities on the American Red Cross website http://www.redcross.org. The Federal Child Abuse Prevention and Treatment Act (CAPTA), defines neglect as “the failure of a parent, guardian, or other caregiver to provide for a child’s basic needs.” It can take several forms; physical, medical, educational, or emotional. A report conducted by the U.S. Department of Health and Human Services in 2011 found that more than 600,000 children in the United States had “experienced maltreatment” with nearly 80% of the cases involving neglect. According to Dr. Bruce Perry from the Alaska Center for Resource Families (ACRF), children who experience regular neglect are more likely to suffer from “underdevelopment of the higher reasoning parts of the brain.” Perry explains that because a child’s brain develops so quickly, “the child’s capacity to function later in life is compromised” due to deficiencies in communication skills. According to a 2002 study titled “Child Abuse and Neglect” by David A. Wolfe, PhD and Kathryn L. Hildyard, PhD from the University of Toronto, children who have endured neglect often have difficulty with impulse control, low self-esteem, regulating emotions, and low academic achievement. Students who have experienced neglect are often raising themselves, and sometimes their siblings as well. These individuals may have issues respecting authority at school since, in their home, they might have to behave as an adult already. According to Dr. Perry (ACRF), young children who experience physical abuse will likely suffer from “overdeveloped safety and stress responses” and will have difficulty with impulse control; these students will appear to be in a constant state of “survival mode.” By far the most sinister circumstances is the combination of both neglect and physical abuse. Students who live in these conditions will have issues with motor hyperactivity, severe anxiety, affected empathy, and poor problem solving skills. Students who are being abused at home will exhibit sudden changes in behavior, have difficulty focusing or staying awake, appear to be watchful or nervous, or arrive extremely early for school activities and show reluctance to leave. If an educator suspects that a child is being abused at home, it is a requirement of the law to report all facts of the situation to the state authorities within forty-eight hours. Reports can be made anonymously and should also include meetings with the school administrators. Educators are not advised to attempt any form of an investigation on their own. “Improving Basic Programs Operated by Local Educational Agencies (Title I, Part A).” U.S.
October 2015. Web. 2 June 2017. “How Does Not Eating Affect the Brain?” Sherwood, Chris. Livestrong. EHow Health. Leaf Group. 26 June 2015. Web. 2 June 2017. Feeding Your Body.” Bushak, Lecia. Medical Daily. Newsweek Media Group. 6 May 2014. Hunger Education Service. Web. 2 June 2017. “The Lasting Impact of Neglect.” Weir, Kirsten. American Psychological Association. Volume 45. Number 6. American Psychological Association. June 2014. Web. 6 June 2017. Welfare Information Gateway and the Children’s Bureau. April 2015. Web. 24 June 2017. “National Statistics on Child Abuse.” National Children’s Alliance. National Children’s Alliance.